Brandon Artists Guild’s (the BAG) ever-popular annual fund-raiser has a time-related theme, acknowledging Brandon’s 250th Anniversary. 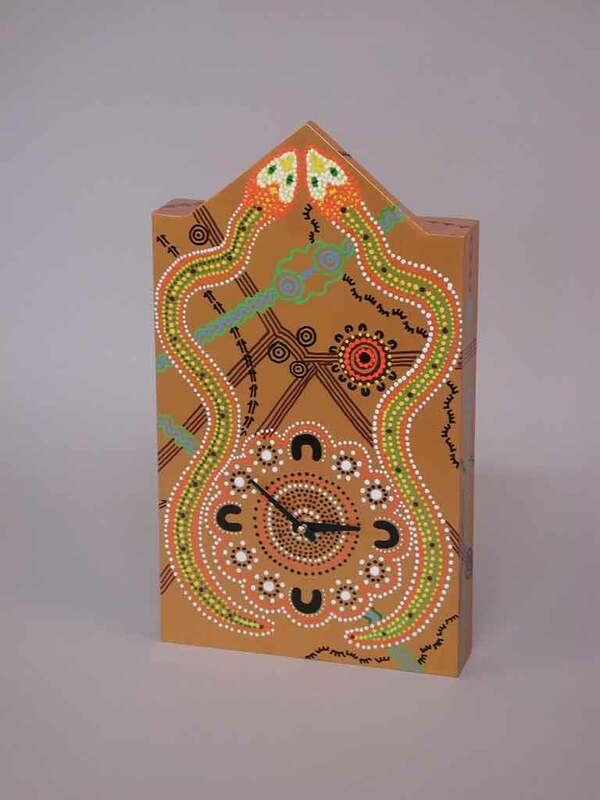 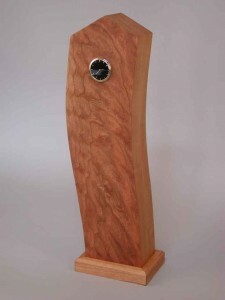 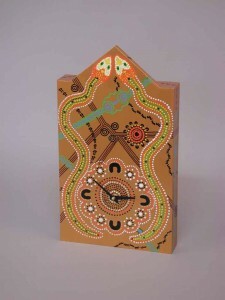 “Art Makes Brandon Tick”, a collection of artist-made and artist-decorated clocks, will entice and engage art lovers for the entire 2011 summer/fall season. 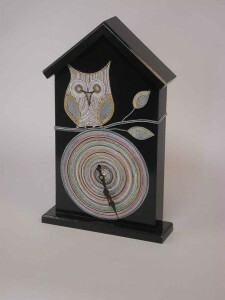 The artists’ clocks, all of them functional with working mechanisms, can be seen at the BAG gallery throughout the summer. 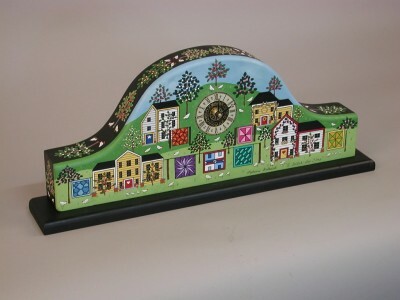 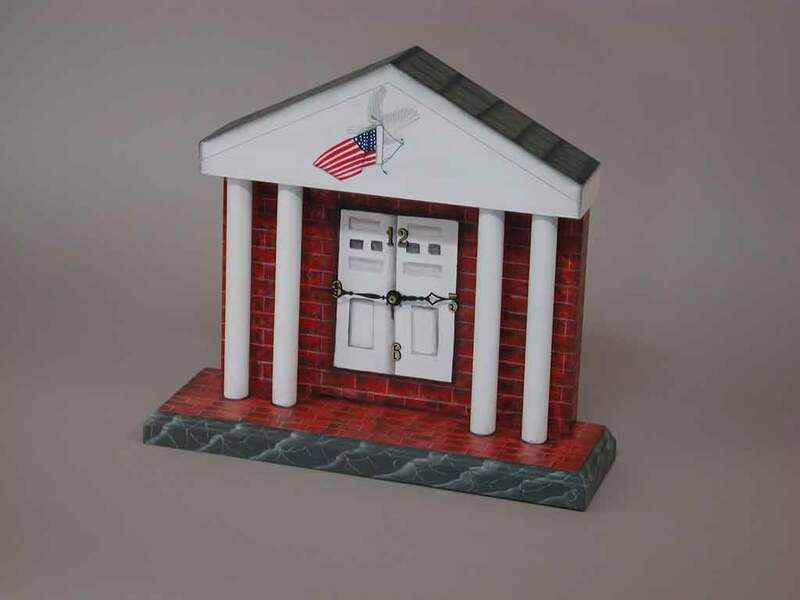 The event culminates on October 8th, Columbus Day Weekend, with twenty-five or so clocks created and donated by the artist members being auctioned at Brandon’s Town Hall. Proceeds from the October clock auction benefit local school programs, the Boys and Girls Club, and the Town Hall renovation project. 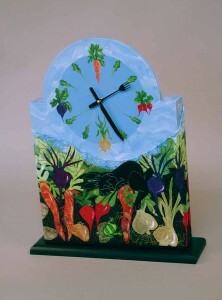 An annual $1,000 scholarship is awarded a high school student pursuing the arts. 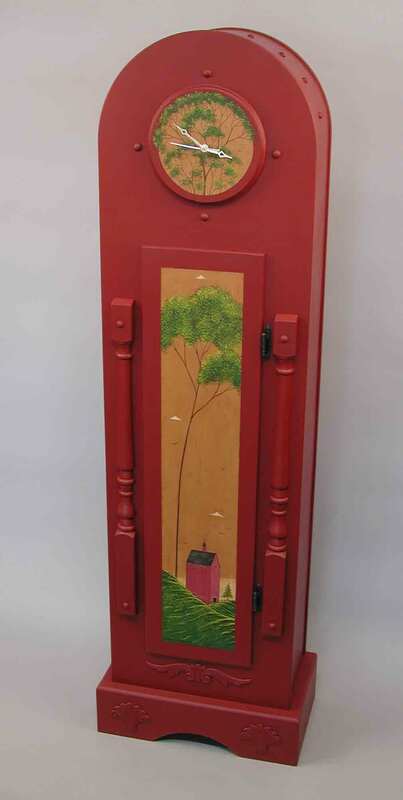 The fund-raising project allows the Brandon Artists Guild, a 501(c)3 organization, to continue its mission of presenting arts to the local community. 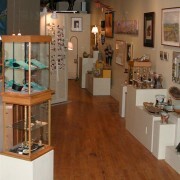 In addition to clocks reserved for auction, other artist-made clock creations are for sale throughout the season at the BAG gallery. 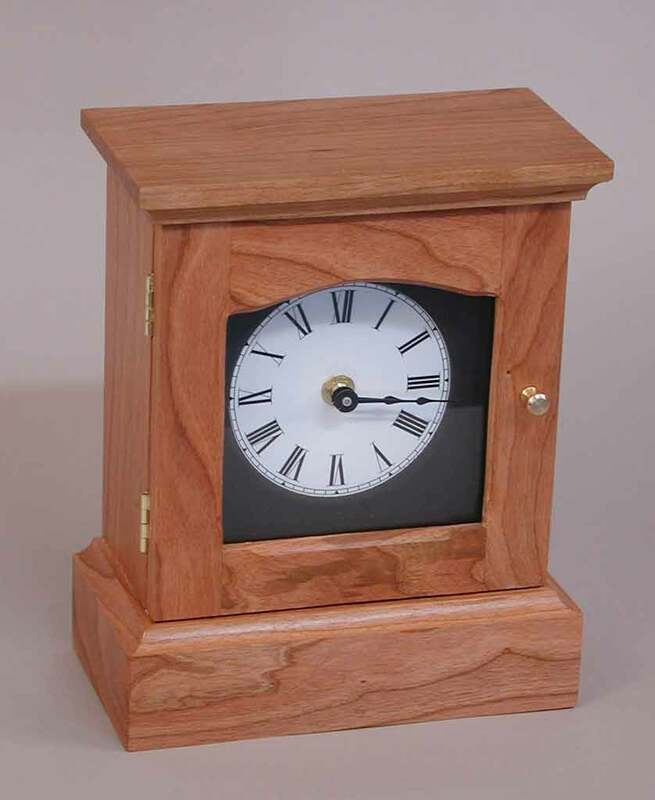 George Wetmore’s hand-crafted wooden shelf clock is the prize for the lucky person who guesses how many watches and timepieces are in a large bottle. 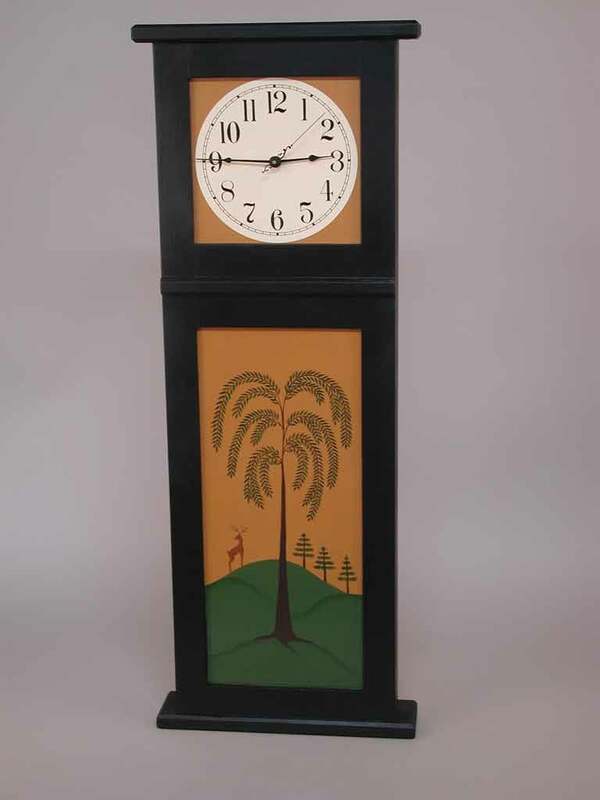 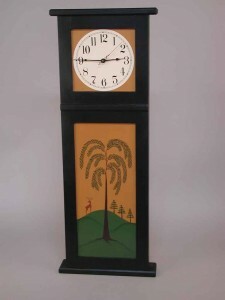 Sat., Oct. 8: Auction of clocks, Brandon’s Town Hall, 1 Conant Sq, Brandon, VT, 7 PM (Preview 5 PM).